We rode the Stockholm metro to the station Kungsträdgården, Kings Garden, impressed by the artwork at the various stations. Once we were topside, this was typical of what we saw. 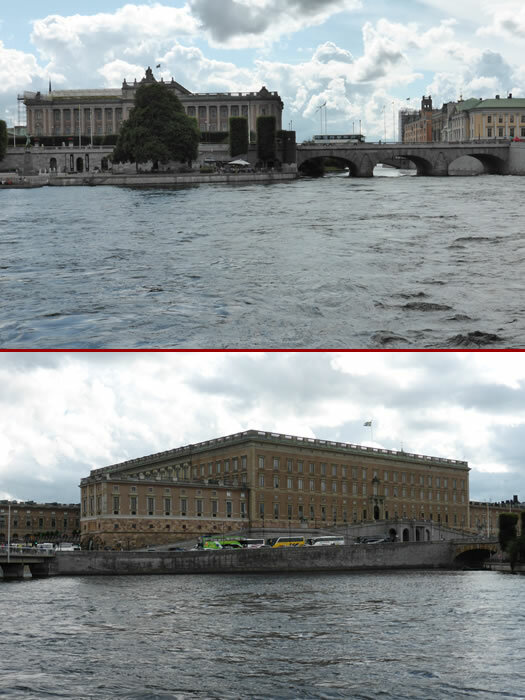 Strömgatan quay and its interconnecting bridges and the Royal Palace.